I know that’s an extreme claim. I say that not because customer service isn’t valuable – on the contrary, I believe that customer service is the single most important aspect of a company. It has the power to make customers into lifelong, raving fans, or unhappy, dissatisfied individuals who share their thoughts on Twitter (much to the dismay of many PR departments). Customer service is so important, in fact, that it should be the mindset of every individual throughout the company—not assigned to a specific “customer service” department. One of my greatest passions in my professional career is the level of service I provide to every person that calls my phone for help. No matter when they call, day or night, I want to make sure each person leaves the phone call fully equipped to be successful. I’ve seen this mindset shape how I view my experiences, both professionally and personally. A 2013 Forrester Report says that we are moving into an era called “The Age of the Customer.” In this era, a focus on the customer will be the number one aspect of brand differentiation. 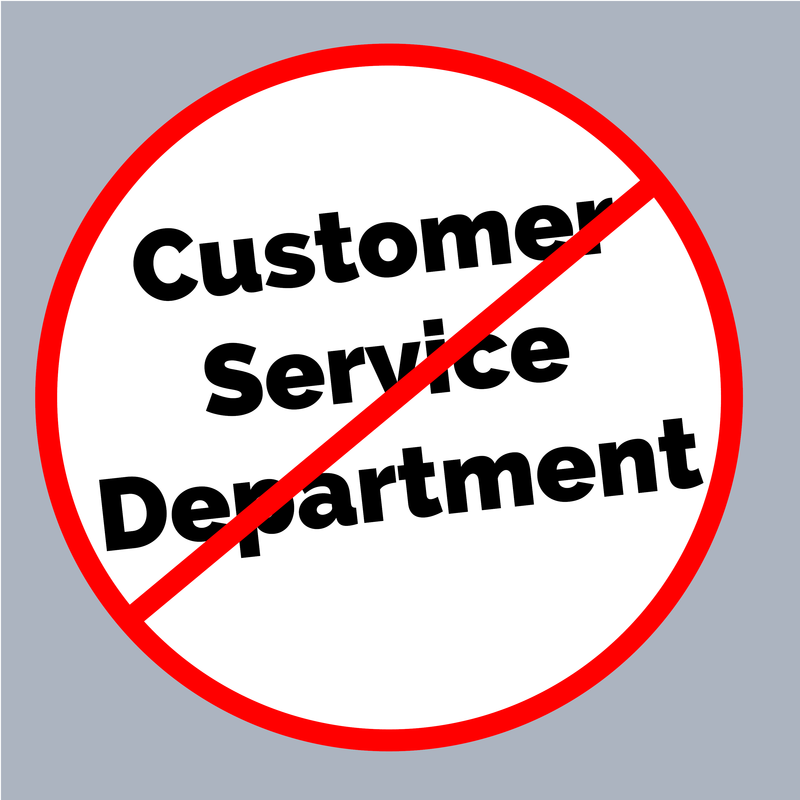 If this is the case, a dedication to customer service will be more critical than ever before. In the study, Forrester examined 7,500 customer surveys, finding a correlation between positive customer experience and increased company revenue. After a positive experience, customers are more willing to purchase from the company again, less likely to switch to a different brand, and more likely to recommend the product or service to others. I recently experienced incredible customer service in my travel to Dubai. At the airport in Dubai, I stopped at a duty-free shop. I realized that I had lost my ring while in the store, and immediately started to search for it. An employee stood handing out samples at the front of the store. When she saw that I was searching for something, she rushed over and joined me in the search. I tried to assure her that I could find it myself, since I didn’t want to keep her from gaining any potential customers that might be walking by. She insisted that she would continue to help me and even asked her coworkers to help me as well. By the time I found my ring, almost every single store employee had joined the search party—not just the sales clerk responsible for assisting customers. I was so impressed to see such an extreme commitment on behalf of all of the employees in the store to help me find my ring. I wasn’t planning on buying anything, but after that experience, I ended up buying several items and also asked to speak to management about how helpful the employees were. As a result of my experience at the shop in Dubai, I’m even more committed than before to the concept that customer service is a mindset—for the entire company. The brands that successfully commit to their customers in every aspect will drastically win in the marketplace. At Ecosystems, we’re constantly looking for ways to challenge each other to become even better at serving our customers. Whenever we have a great experience as a customer ourselves, we capture these stories and share them with our team — in meetings, brainstorming sessions, email chains, and even the occasional office celebration. When commitment to the customer is celebrated as part of daily workplace culture, “customer service” is no longer an isolated entity—it’s a natural dedication to impacting other human beings. When this is the case, interactions with customers extend beyond business discussions and transform into meetings for coffee, sharing career advice, and even exchanging family holiday cards. Where have you, personally, experienced great customer service? How are you applying these experiences to your professional life? Tina is a Value Consultant at Ecosystems. For 7 years, she has been helping companies quantify the value of their products and services. She is passionate about doing whatever it takes to make sure that her customers are always winning and are raving fans of her service. Tina believes in giving back to the community and partners regularly with several charities. She also loves to travel and hopes to visit as many countries as she can.